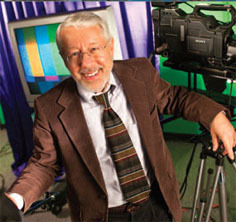 Beyond a BA in science education; MS in Educational Media; and PhD in Education, Technology Specialization, it is Dr. Paige's 18 years spent in business and marketing along with his 10 years as a vocational school instructor and academic integration specialist that he credits with providing validity for his research and his contributions to the classroom. As a Walden graduate, Dr. Paige was honored with the Harold L. Hodgkinson Award for Research Excellence, nominated for an international award, selected to provide a chapter for a textbook, The Teacher for the Knowledge Society, and he has been honored by having his dissertation represented as an exemplar in three recently published books on successful dissertation writing. Dr. Paige returned to Walden as an instructor, because like many of you, he has a passion to stay in touch with education as both a teacher and a learner. That passion was recently rewarded by his students and colleagues who selected him for the 2016 Faculty Excellence Award and by his peers who honored him with the title Senior Contributing Faculty. Dr. Paige's current role as Lead and Senior Contributing Faculty for Ph.D. in Education: Organizational Research, Assessment, and Evaluation (ORAE) in the School of Higher Education, Leadership, and Policy of The Richard W. Riley College of Education and Leadership combines over 30 years of teaching and educational administrative experiences. Paige, R. (2010). Beyond student-centered instruction: A model for teaching learning-to-learn strategies. International Journal of Interdisciplinary Social Sciences. Paige, R. (2009). Self-directed learning and the mind-set of successful entrepreneurial learning. Paige, R. (2013). The entrepreneurial learner: How people learn-to-learn and learn to apply what they have learned. Paige, R. D. (2014). Animate your content. Walden University.